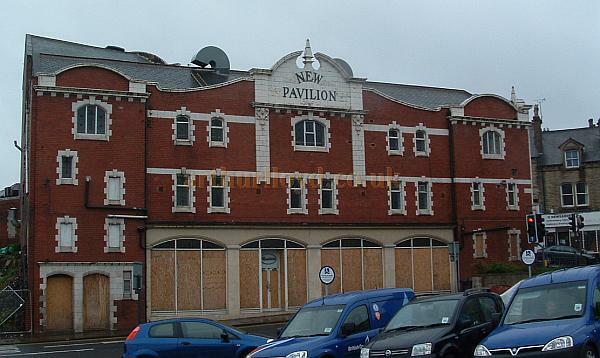 The New Pavilion Theatre in Morley was built as a Cine-Variety Theatre in 1911 with full stage facilities and fly tower, and an auditorium on two levels, Stalls and one Balcony. A major fire completely destroyed the backstage area in 1913, but thankfully the auditorium survived intact. The backstage area was then subsequently rebuilt and the building continued with live theatre and films until 1916 when the Theatre became a full time Cinema. By 1929, with interest in silent films on the wane, the building reverted to live theatre again opening on Monday the 23rd of September. In 1931, after having new cinema equipment with a rear projection room for talking pictures installed, the building became a full time Cinema once more, opening on Monday the 1st of June, and remained as such, albeit with alterations for Cinemascope and the installation of a front projection box in the rear of the balcony in 1956, until it closed on the 27th of July 1968. 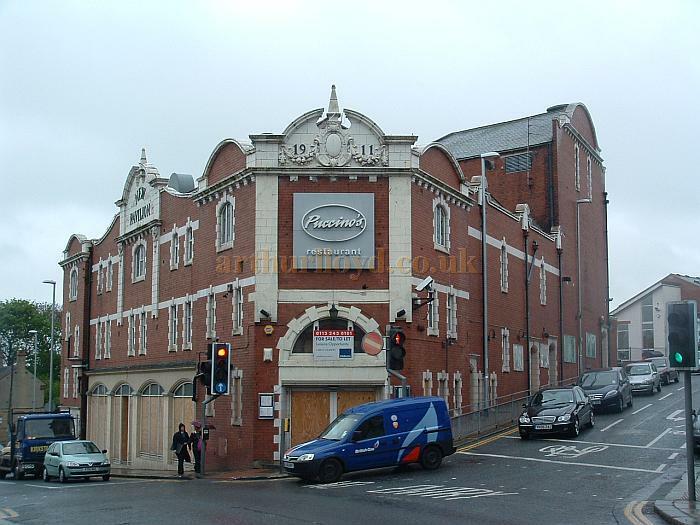 Right - Ronnie Barraclough and David Reekie's book 'Morley Entertainers,' which is available from the publishers here, has details of the Pavilion Theatre and a photograph of it on the cover. The Theatre was subsequently converted for Bingo use and reopened as 'Star Bingo' on the 7th of August 1968, becoming 'Walker's Bingo' in 1984, and was used as such for the next twenty years until Bingo ceased on the 29th of February 1988, after which the building stood empty and unused for some time. In 1990 the Theatre was converted for Nightclub use and opened as 'After Dark or Orbit' on Thursday the 12th of July that year. Sadly in 2009 the Theatre, which is not Listed, is closed again and remians unused, awaiting an uncertain fate.